The Philippine Cooperative Center (PCC), the convener of the largest gathering of cooperatives every 2 years since 2004, the National Cooperative Summit, was organized in 1995 as a body that coordinates national cooperative networks in the country. The mission of the PCC is to serve as a unifying center that will strive for excellence and competitiveness to create partnerships, and ensure the accountability of the cooperative movement. The PCC came about due to an avowed desire of leaders and advocates to achieve a long-lasting effective presence in the cooperative sector, to cope up with, adapt to rapid changes in the global as well as national scenes. The emerging global economy and openness of the national government to forge a meaningful partnership with cooperatives provided the impetus for the advent of the PCC. After a series of discussions and fruitful organization-building processes that started in 1995, the PCC was formally registered as a cooperative on March 10, 1997 that coincided with the Cooperative Day celebration. 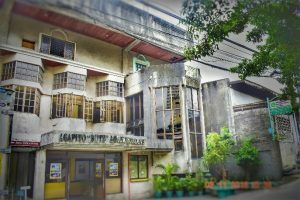 During its first few years, the PCC focused on establishing a physical center that would serve as a venue for undertakings among cooperatives and as a forum for the discussion of various concerns affecting the movement. Overtime, the PCC operations evolved toward more collaboration efforts among member-networks aimed at strengthening the cooperative sector in the country. Various co-ops launch the Koops Forum, a series of discussion on issues facing co-ops under the new Cooperative Code of 1990, with the sponsorship of the House Committee on Cooperatives chaired by Congressman Agapito “Butz” Aquino. Upon the initiative of Senator Agapito “Butz” Aquino, Congress allocates P40 million for the establishment of a physical center for the use of the cooperative movement. 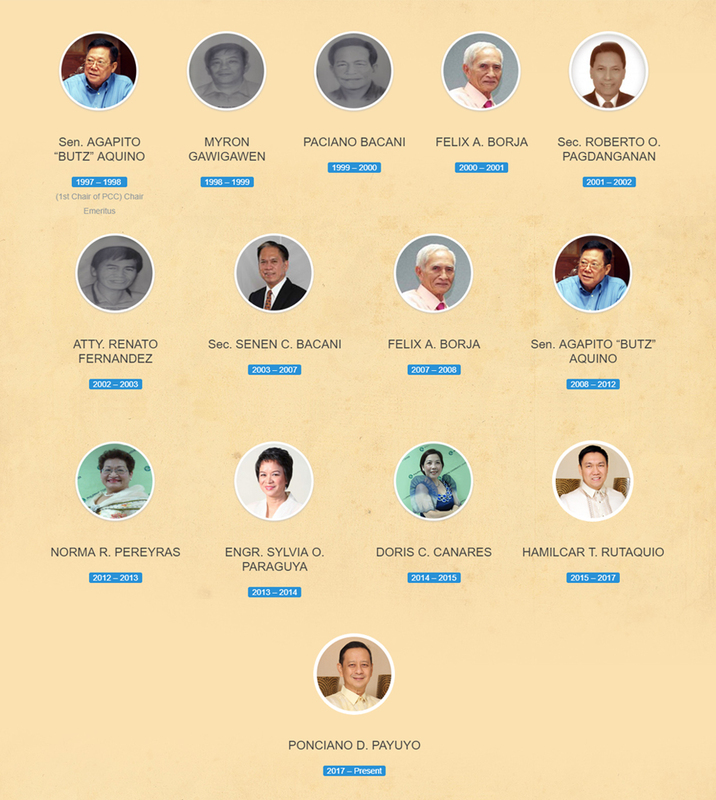 Koops Forum participants create a Steering Committee in 1995 to work for the establishment of PCC. National Organizations conduct a strategic planning workshop that envisioned PCC as a center to promote partnership and unity among cooperatives. PCC is formally launched on March 10, 1997, Cooperative Day. PCC signs the implementation agreement for the project “Effective Local Governance and Support Mechanisms for Sustainable Cooperative Development “with CDA, NEDA, and UNDP. PCC assists the National Anti-Poverty Commission (NAPC) in organizing the Cooperative Sector Assembly to elect the Cooperative Sector Council. PCC signs a Memorandum of Agreement with the Cooperative Center Denmark (CCD) for the implementation of the Cooperative Education Ilocos Norte (CEIN) Project. PCC mounts the National Conference on Local Governance and Co-operative Development, in cooperation with CDA, NEDA , and UNDP. PCC conducts a planning workshop with CDA that established an action agenda for a central cooperative financial system and common standards in auditing, training, and other issues. PCC assists the NAPC in convening a new Cooperative Sector Assembly to elect new Cooperative Sector Council. PCC convenes the Philippine Cooperative Forum, a special meeting during the 5th Asia Pacific Assembly of the International Cooperative Alliance hosted by the National Confederation of Cooperatives (NATCCO). Strategic planning workshop of PCC defines its role as a center for policy, technical, and business development cooperation among cooperatives. PCC convenes the 7th National Cooperative Summit in Bacolod City. Katipunan ng mga Kooperatibang Pansasakyan ng Pilipinas Inc.
Philippine Federation of Credit Cooperatives, Inc.